Is there such a thing as too many stuffed animals? I don’t think so. No cuddly creature goes unsnuggled on my watch. Growing up surrounded in stuffed friends, I was thrilled to hear about Bears for Humanity. This company is doing so much good and produces a fantastic product. I received product and compensation to facilitate this post, but all thoughts and opinions are my own. These stuffed Bears and Animal Pals are gifts that give in multiple directions. When you buy one stuffed bear or animal from Bears for Humanity, one is given to a child in need. 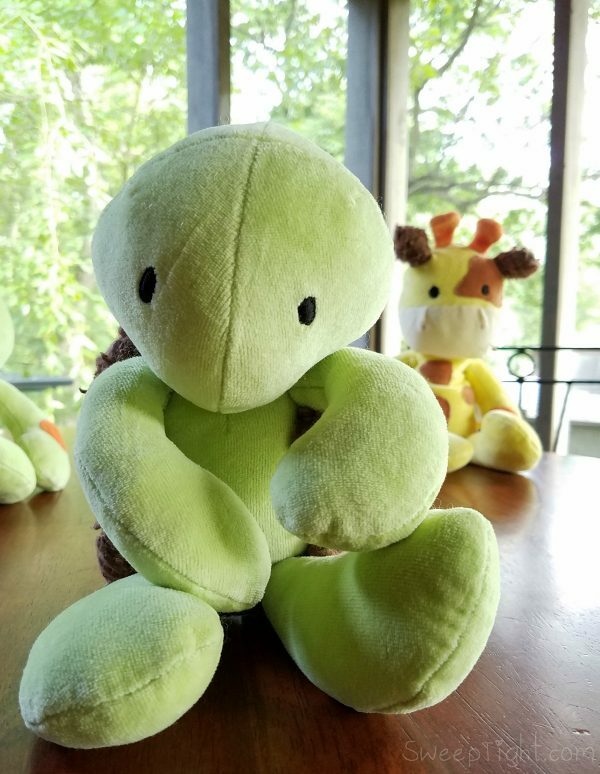 A plush toy may seem trivial to most, but to an underprivileged young boy or girl? It could become a new best friend. 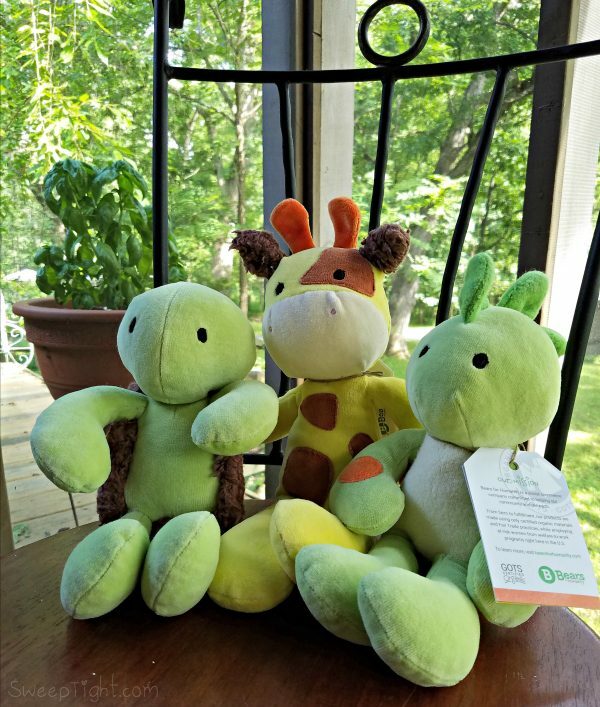 Not only, are these stuffed toys adorable, but they are also made of GOTS certified organic cotton. Obviously, this makes for a great, chemical free product, but it’s also amazing for the planet. No harmful chemicals are put into the soil that will be around for generations. AND, to top it all off, these are made by women that would otherwise not have work or be able to provide for their families. I got to pick three animal pals, and I chose the Turtle, Giraffe, and Dinosaur. Our cat, Stewie, quickly grabbed the Dinosaur, and it’s now his favorite nap time buddy. Seriously, I tried to take him away, only to be threatened with a ferocious roar. Each “guy”–we refer to all stuffed animals as guys–comes with an adoption tag where you document their official name. These guys are soft, well made, and each has unique cuteness. Because my mom has been sewing my entire life, I can tell where the guys were hand stitched. Knowing how much love went into their creation adds tremendous character to each toy. The next time you’re looking to gift a new friend, please consider shopping the Bears for Humanity shop. These are perfect for Valentine’s Day, get well soon tokens, baby showers, or just as a little pick-me-up. Which ‘guy’ would you pick from Bears for Humanity? That is so cute that Stewie picked the dinosaur. I love that they give one to a child in need also and I love the photos!